BathArt Refinishing is proud to offer the #1 rated comprehensive and hands on training available in the bathroom refinishing industry. Don’t be fooled, tricked or even ripped off by expensive workshop or in house training programs that simply have you walk around a clawfoot tub with 8-10 other “Students” learning unrealistic techniques and scenarios. Worst of all after training your left in the dark with a costly list of products and tools needed to be purchased. Here at BathArt Refinishing We decided to develop a training program that is now ranked as the #1 training program in the Nation. 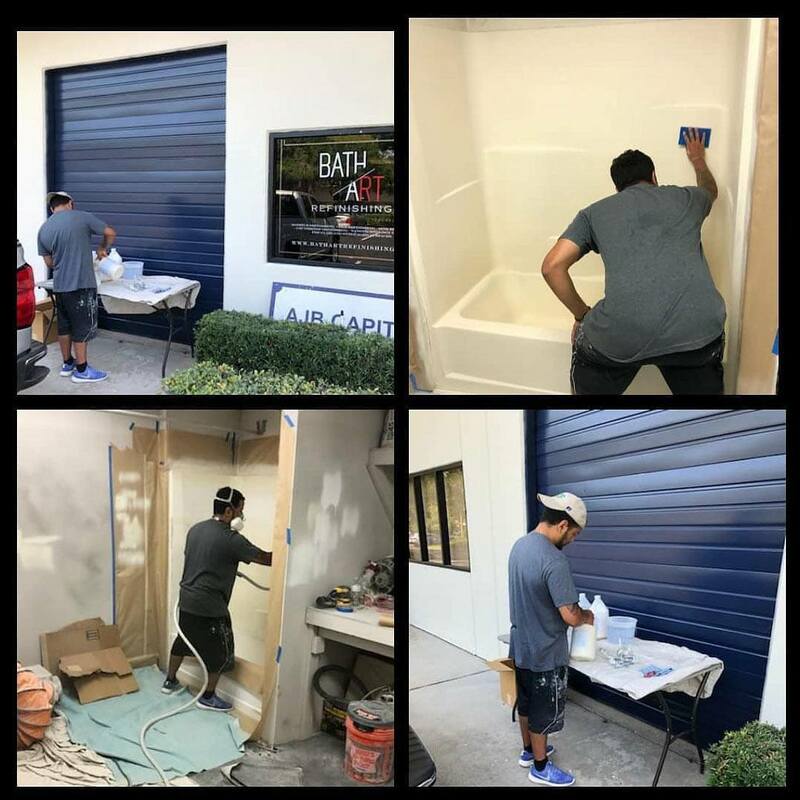 Our programs provided you with not only the techniques and refinishing skills we also provided you with absolutely everything you need to get started. No shopping list or upsale programs here. Once training is complete you will have every tool necessary to launch your own refinishing company or add refinishing to your already established business. 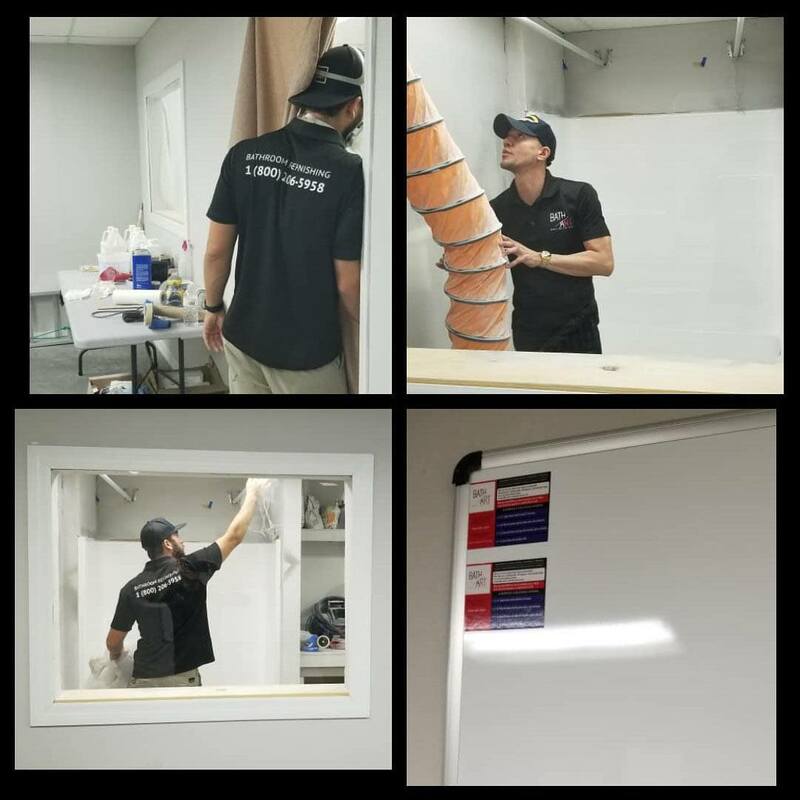 We are currently the only company offering these exclusive training programs featuring our exclusive glass coat refinishing products and nanotechnology cleaning products. HVLP spray gun kit, safety equipment and basic tools including your first full order of products will be shipped prior to training. Day one of training will kick off with a trip to your local hardware store where all miscellaneous items will be purchased using our BathArt credit card. This is a great feature only offered by BathArt Refinishing, during this trip you will receive inside professional secrets on money saving shopping and creative professional refinishing insights. this is truly one of the most specialized and informative portions to our training programs. Nanotechnology is a fantastic income opportunity. Our dealers enjoy application and sales training, marketing support, website assistance, and technical support. Benefits also include the possibility for product and territorial exclusivity. The investment is modest and you receive a combination of inventory, equipment, and a full training program. Send us an email and tell us your story. Tell us about your location, industry and describe your dream. Be the first in your area! Contact us today via email or at (800) 206-5958.